Big Data. You’ve heard it declared as the untapped secret to solving all your marketing problems. When you’re having trouble hitting your conversion numbers, or you’ve seen a recent boom and want to understand why, data is often the ticket to these answers. 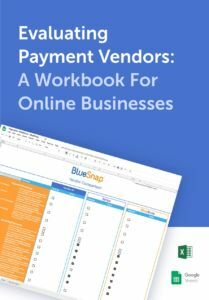 What you may not know, is that payment data, can take your marketing campaigns to the next level. Save the skepticism and read on to learn more about the marketing payments data dream team. Marketers love numbers. ROI, KPIS, you name it, we’ve set our goals, and we’re tracking them like a hawk. From site visits to banner clicks, email opens, and social shares, we certainly have our hands full with information to use. But how does this fit into the payments sphere? You’ll have to excuse our excitement here, but payment analytics and marketing data can be great friends. Through an integration with HubSpot, BlueSnap users can connect payment analytics with marketing campaigns to analyze strategies and drive better campaigns than every before. Wondering how it all works? Let’s think about an example. Say you have a marketing campaign set up in the US to attract holiday shoppers. You build a special landing page, develop a social strategy, and have a three email selling campaign set up to offer a range of different promotions. Marrying the insights from your marketing data with payment numbers will enable you to understand at what point of the buyers journey a shopper converted to a successful sale. Zeroing in on the email campaign, more than just clicks, you can see when someone actually completed a purchase. Was it the first email? Was it the third email? Was it the coupon? And what were the messages associated with each email? If at this point you find yourself thinking: “But hey, my marketing data already tells me that. So why do I care about this payments stuff? The payments piece is when your data really takes a jump to the next level. Looking at payment data allows you to understand things like: average ticket size in each region, number of chargebacks (and specific reasons for their occurrence), gross sales by region, and so forth. Let’s think about a use case where this information would come in handy. -Sales from this email were less <1% of people who clicked on the coupon. -Payment declines. Did people try to complete a purchase and were issued false declines? If so, why is this happening? Are you taking advantage of Intelligent Payment Routing to ensure that all payments are being routed to local banks where they have the highest likelihood of clearing? -Are you offering alternative payment types? Maybe your shoppers wanted to pay with a mobile wallet but your site wasn’t offering any, accounting for a high number of abandoned purchases. -This is less applicable to a US specific campaign, but are you presenting local languages and currencies? If a French shopper lands on your page and you’re not showing the price in Euros, you may run into angry shoppers who abandon the purchase. Having access to this payment data allows you to take your analysis to the next level. If we discover that false declines were in fact being issued, we know that there is a problem with how we’re accepting payments, not how we’re marketing our messages. When it comes to marketing, most of the mobile thinking is around responsive design and general functionality of pages. But the payments component plays a much larger role in converting shoppers than marketers may realize. You wouldn’t want a shopper to have to scroll through countless pages to get to your promo or pertinent product info, so don’t let this happen on the payment page. It’s important to think about providing the best payment experience on mobile. Your holiday shopping emails brought a customer through the door, and your payment experience will help them cross the finish line. Consider mobile wallets. PayPal, Apple Pay, Visa Checkout and MasterPass are just the first few of the many alternative payments sweeping the world of mobile commerce. The same way you present different color product options based on shopper interests, provide different payment options to reach the highest number of preferences. Accept in-app payments thanks to mobile SDKs. If you have an app, you should definitely be accepting payments in it. Redirecting a shopper to an external website can slow down or even inhibit the final checkout process. Limit form fields. Nobody likes typing in personal information on a mobile device. Keep this to a bare minimum with a sleek checkout. A mobile app certainly isn’t for everyone, but whether you have a mobile app or webpage, it better be sleek! Don’y shy away from all that payments data has to offer. For more information on how to use payment data to improve your marketing efforts, get in touch with our reporting consultants. Next Story Is Amazon Go Shaping the Future of Payments and Retail?